There is a lot being said and written about the life of Gary Carter, the Montreal Expos legend who lost his battle with cancer at the age of 57. Well, I was among those who can say that Gary and I knew each other on a first name basis. When he joined the Expos for good in 1975 I was 13 years of age. 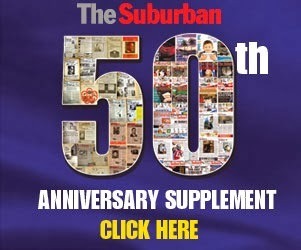 My dad, Lawrence Frederick Cohen (aka Larry Fredericks), worked in the press box for the United Press International wire service. In those days the team gave all media a pair of season tickets at cozy Jarry Park. From his seat high atop the crowd my dad could keep his eye on my younger brother Chuck and I.
Gary Carter began the season as the starting right fielder for the Expos. Chuck and I must have gone to close to 50 games that year. Our seats were located right near the players' families. This included the then young wife of Carter, Sandy. We spoke to her often. Gary's dad Jim flew in from California frequently and he was quite the gentleman. It did not take long for Chuck and I to become big Gary Carter fans. My dad reported from the dressing room what an amazing guy he was. "He's calling me 'Larr' already," dad told me proudly. Carter was visible in the community. Each summer he accepted an invitation from Johnny Elias to come teach at his Grand Slam Baseball School, which happened to be behind my house. Here was a major superstar in the game coming to a community park to talk to kids because of a friendly relationship he developed with Elias, a batting practice pitcher in his spare time. There was a reason Carter was called the "Kid." The following season I had gotten a job at the now defunct Sunday Express Newspaper. The Express had a pretty steady readership and at a young age I was named assistant sports editor. I had a column with my baby face photo and wrote a slew of stories each week on virtually every sport. It gave me great visibility among the athletes. One day I was in the dugout talking to then Expos manager Jim Fanning. As we concluded our chat, Carter walked by. He turned around, looked at me and said, "How is Mr. Cohen doing today? What can we expect this week in The Sunday Express?" From that point on he always remembered my name, even after he was sadly traded to the New York Mets, the LA Dodgers and the San Francisco Giants. I was among the elated fans when he returned to the Expos for his final season. The double in his final at bat at Olympic Stadium still gives me goosebumps. Carter came back to Montreal as TV broadcaster for a few seasons. We heard him on local radio even after the team left town and witnessed him being honoured at the Bell Centre with Andre Dawson, his sweater number 8 lifted to the rafters. 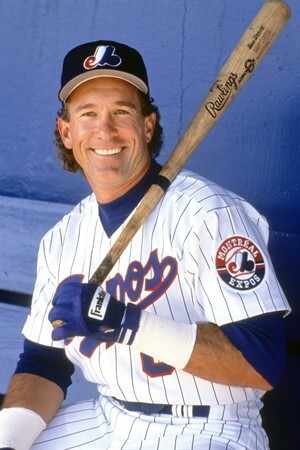 There will never be another Gary Carter. I know he would have loved to see the Expos stay in Montreal and for him to one day be the manager. We can only dream.